The North West’s best floating venue! 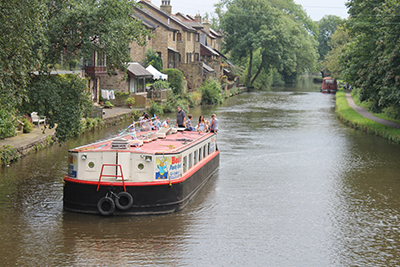 The Royal Sovereign is located in Chorley, Lancashire and is a wide beam canal barge capable of holding 60 guests. 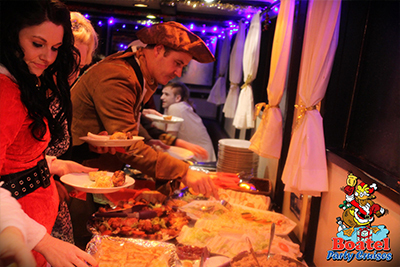 We are the one stop party venue who will run your entire cruise from food to entertainment, all under 1 price. Cream Tea Cruises, Christmas Works Party. Just want a get together with friends? Whatever the occasion, we will transform your occasion into a truly memorable celebration. The Royal Sovereign a wide beam barge (not a narrowboat) is one of the largest boats on the Leeds to Liverpool canal. Inside our central heated cabin you’ll find enough seating for 60 guests, a fully stocked bar serving draught, spirits, snacks and soft drinks. We have a dedicated hardwood dancefloor and DJ setup with full sound and lighting system. Ideal for a party with a difference or meetings without distractions. Boatel is located just off junction 8 of the M61 in Chorley, Lancashire.